New Zealand ranks pretty high as a tourist destination for most people, but it is a very long way from England and the journey there is a killer. However, we had made good friends with Dot and Ike when we met them on our tour across the Red Centre, and they were just the incentive we needed to make the pilgrimage to 'the land of the long white cloud'. 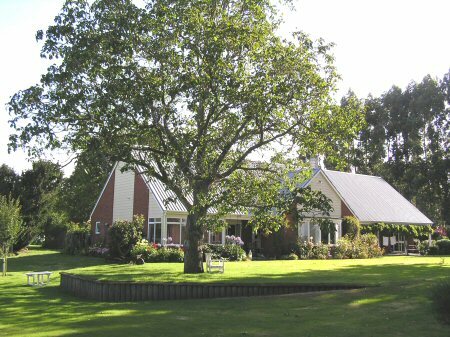 We began our holiday in Christchurch, where Dot and Ike live, and enjoyed the wonderful family hospitality that we subsequently experienced everywhere we went in New Zealand. I suspect this has much to do with the need for family support and cooperation when making a new life in a far away land, and in the grand scheme of things most New Zealanders are still comparative newcomers. It was truly delightful to see their family enjoy each other's company and be so willing to share their thoughts with a couple of comparative strangers from the other side of the world. With just four and a half million inhabitants the country has plenty of space for everything. 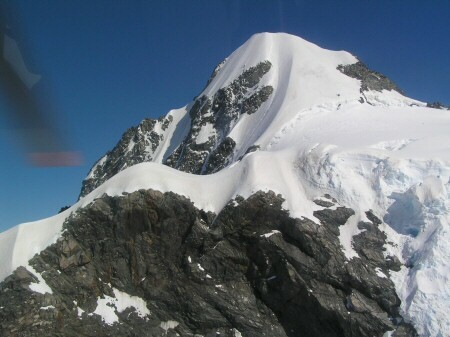 In the South Island the terrain is predominately mountainous, except for the Canterbury Plain to the south and west of Christchurch. Outside the towns houses occupy large plots, known as sections, and are built mostly of wood. There is a curiously pioneering feel to the place, as though much of it has only just been constructed. 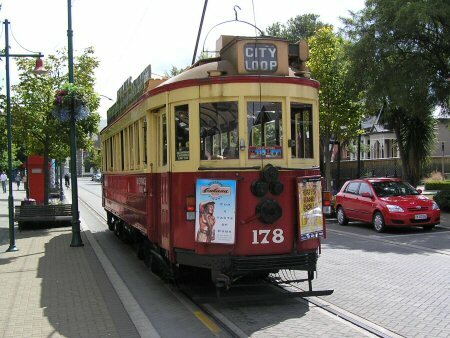 Much of the urban infrastructure is reminiscent of Britain fifty years ago, featuring many fine buildings in Victorian, Edwardian and Art Deco styles. The roads are in the main gloriously empty but often narrow and winding, thus restricting your speed to below even the modest speed limit of 62 mph. We saw hardly any Porsches! Many bridges are single track, and sometimes even shared with the railway, making you feel distinctly uncomfortable on the longer ones! There is a railway line which runs north/south through both islands, but the gauge is narrower than ours and seems to carry mostly freight. We observed almost no industry outside of the major towns; the economy runs on tourism and agriculture, mainly sheep. A hillside covered in thousands of sheep is quite a sight, but a procession of massive sheep transporters and trailers on the road is less so! Newspapers and TV are delightfully parochial and preoccupied with sports of every kind; New Zealanders have a longstanding love affair with the extreme variants. On leaving Christchurch we drove across Arthur's Pass to the rugged west coast of the South Island and enjoyed a spectacular drive south past glaciers, mountains and breathtaking sea views. 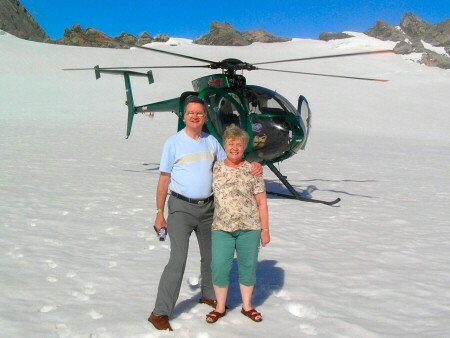 A helicopter flight over the Franz Joseph and Fox Glaciers and a close circuit of NZ's highest peak Mount Cook (13,766 feet) was one of the highlights of our trip. 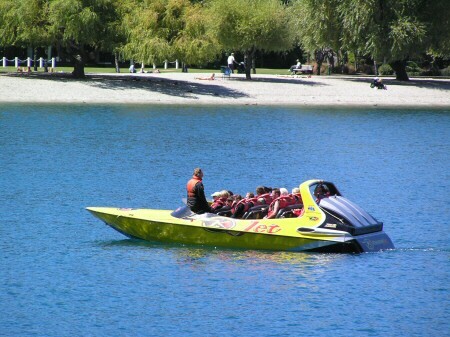 At Queenstown we encountered our first crowds. Bordering yet another picturesque lake, it caters for the aficionados of extreme and adventure sports: jet boating, paragliding, skiing, bungee jumping - just about anything that scares the pants off you. We tried the 50 mph jet boat and paid heavily (in both senses) for the experience, so then took a leisurely ride on a 1920s steamboat across the lake for afternoon tea and a sheepdog demonstration (what else?). Our three nights there in a luxury B&B were among the best for unsurpassed hospitality: a huge suite overlooking the lake, service worthy of a five star hotel, breakfasts to die for (!) and a never-ending supply of home baking, fruit and wine. Our hosts cleaned our car windscreen, offered to polish my shoes, laid the table and furnished the wine and ice-cream when we opted for a take-away one evening. They advised us on what to do, where to eat, made our bookings and pressed fruit and cookies on us to see us through the day. NZ hospitality is truly a national art and practised everywhere. Milford Sound was our next destination, tucked away at the end of a long dead-end road in the south west corner of the South Island. The Sound itself is beautiful, but its commercialisation less so.  Boat cruises depart continuously from an airport style terminal boasting eleven piers and a massive coach park. Every waterscape is littered with boats and accompanied by the drone of light aircraft and helicopters, to which our own cruise was contributing. However, it was an experience not to be missed. 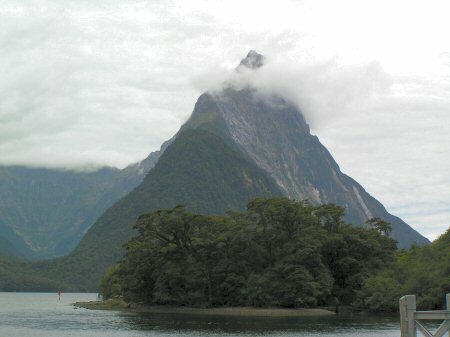 If we were to go again we would probably visit the more remote Doubtful Sound instead. 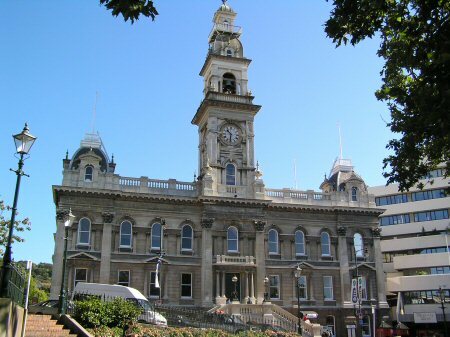 Dunedin is not a name I would have previously recognised, but it proved to be a delightful city on the south east coast appropriately dubbed the Edinburgh of NZ. We stayed in a beautiful Victorian house built in 1886, hosted by a couple who were car rally enthusiasts; Murray even had Stirling Moss's rally car in his garage and an album full of his exploits on such events as the London to Sydney rally and the South American rally. 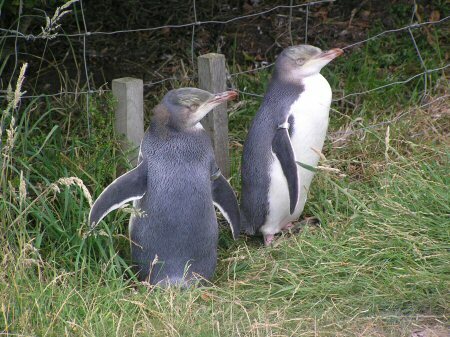 While staying here we visited the Albatross Sanctuary, the only such mainland based colony in the world and, to Elsa's delight, the Penguin Beach on the Otago Peninsular. Observing these birds in their natural habitat will be unforgettable. 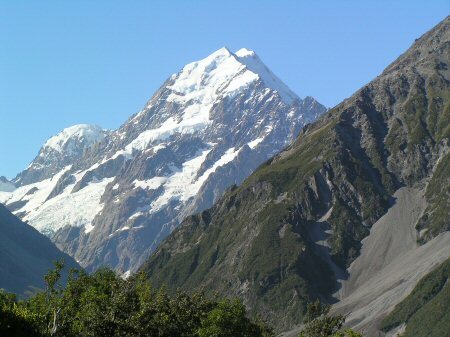 The sun continued to shine with unusually high temperatures as we turned north for Mount Cook and a view from the other side of the mountain - like the grand old Duke of York! Another long drive down a dead-end road, but this time well worth the effort. Our hotel was quite magnificent, with a room on the top (tenth) floor with a view to beat them all. That night we dined in the panoramic restaurant and enjoyed an outstanding four course dinner while watching the sun set in a cloudless sky over Mount Cook. Our table was in a prime position by the window, and a stream of fellow diners joined us to take photographs of this memorable sight. 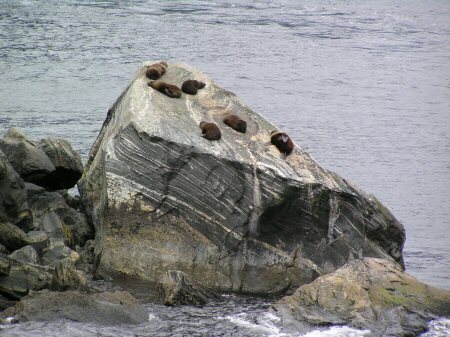 Not us though - I'd left my camera in our room! 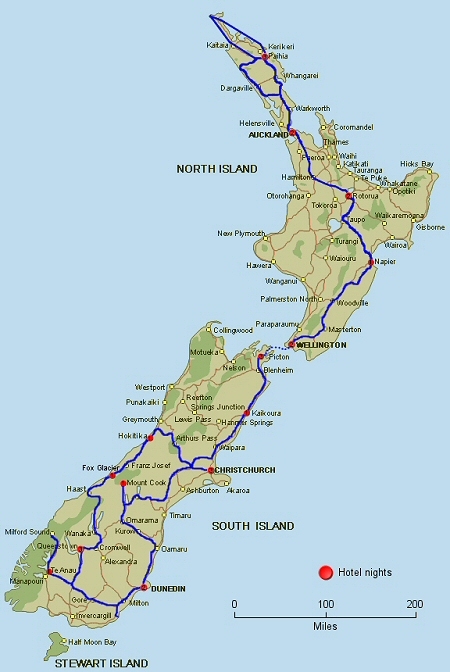 The following day we had our longest drive, over three hundred miles, to the coastal town of Kaikoura. 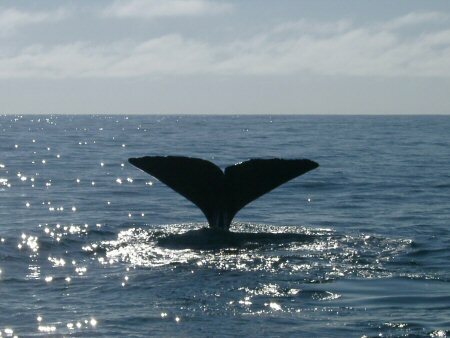 Rising at the crack of dawn we joined the 7.30 am whale watching cruise and enjoyed some cracking close up views of the whales and dusky dolphins that live permanently in the bay. When the whales blow it is not water but snot! I have some memorable video, but Elsa took the best photograph. 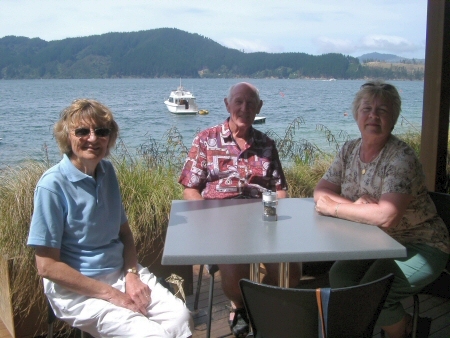 Our final port of call on the South Island was Picton, where we rejoined our friends at their holiday home. 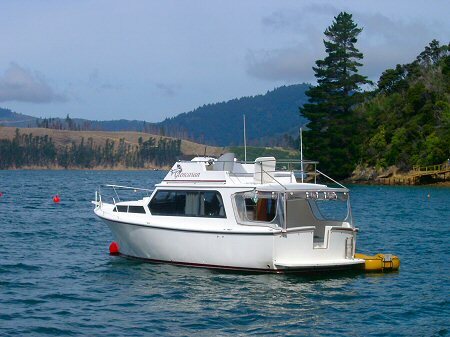 We spent both days on the water in Ike's 38 foot cruiser exploring Marlborough Sound. There are many beautiful waterside properties only accessible by boat, giving their lucky owners a peaceful retreat from the bustle of normal life. On the second day we had lunch at such a remote restaurant, where our only fellow guests arrived by float plane and our sole disturbance the daily post boat delivering supplies. 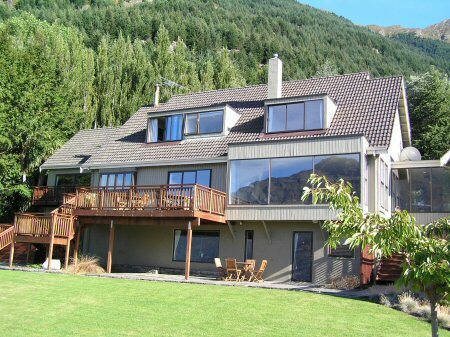 This experience brought into sharp relief the essence of the South Island: the grandeur of the scenery, the uncrowded peace of the environment, and the skill with which the locals have developed their country to exploit its assets without ruining it beauty. The next day we took the three hour ferry ride across the Cook Strait to Wellington, doubting that anything in the North Island could match what we had already seen.